Going through the last weeks of May and then entering officially summer makes me think of the heat (not a big fan of it but anyway) that comes with it. The woman behind psarokokalo is really as special as her creations and this necklace is no exception. Speaking of special..you really can't get something more special wrapped around you than this amazing scarf made of a vintage kimono fabric. It is hard to resist including something from creationsbyeve when i see a shrug as lovely and summery as this! Even though my summer "fruit" (technically not a fruit) is strawberry, i have to mention these juicy deliciously looking cherries painting from artbygeorgia Mouthwatering...i know! A lovely bracelet from Nafsika which featured a heart and also an evil eye bead to keep the jealous ones from jinxing you, looking gorgeous and all! So many great creations to choose from...now when can we win that big pot of cash? 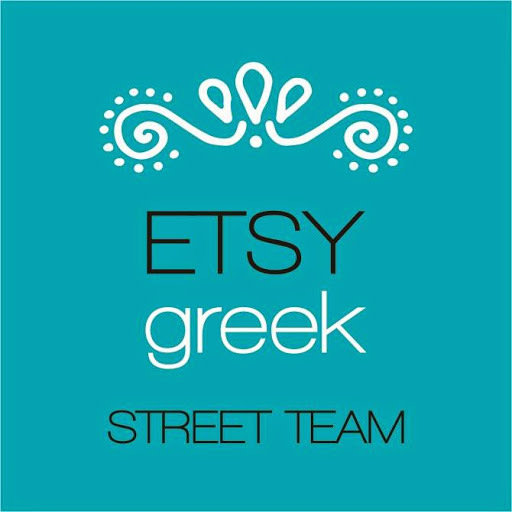 - Tell us a bit about yourself(name,location,affiliation)My name is Elli Platanou I am 27 years old and I live in Athens-Greece.I am a member of the "ETSY GREEK STREET TEAM" and have my own etsy shop. :)Crafts and music are the two things I enjoy doing the most , when I am not working as a swimming trainer. I started making jewelry about 9 years ago just for fun. When I made so many of them that they couldn't fit at my house I started giving them as gifts to my friends.Then my friends started asking for their friends so that's how I started selling. 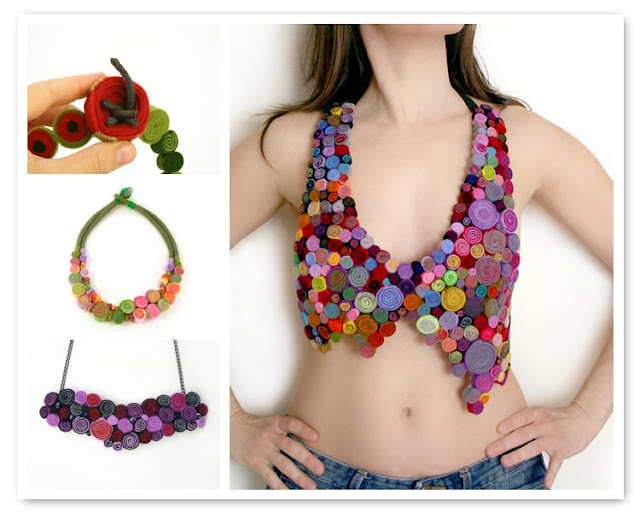 - What inspires you?Where do your ideas come from?I like making cute and girly jewelry using all kinds of materials and I try to create unusual pieces that you can't find everyday. I get inspired from everything that's cute and girly! - What are your favorites materials?I use all kinds of materials but my favorites are BUTTONS RIBBONS and CLAY! 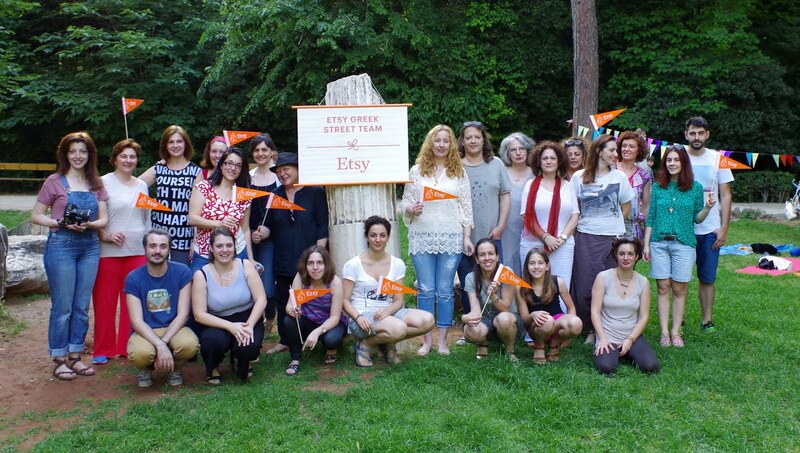 - Why should buy handmade?Because handmade items are unique and made with love! - Apart from creating things what do you do?I am a singer in a group and a swimming and aqua aerobic coach. - How do you promote your work?I try to take really nice photos of my products, I chat in the forums and try to meet other sellers on etsy , I join etsy groups , I use twitter and facebook and I have a blog ( www.onstage69.blogspot.com )and a site ( www.elliep.com ).An other thing that helped me is to renew items at least once a day. 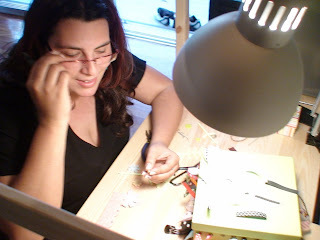 - Do you have a studio or a special place in your house you work your creations? Tell us about this place.Yes I have a studio at home but I work everywhere in the house, even on the bed! Music helps me a lot to create and that's why my I have my stereo in my crafting corner. -Do you have to tell us about a special storage place for your materials. 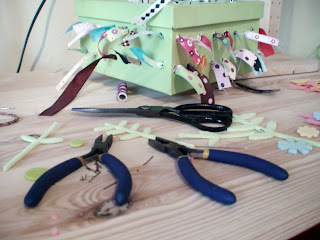 Is it handmade by you or you bought it.My favorite storage place is my ribbon storage box.I made it by myself and I found this really beautiful, helpful and easy to make idea from www.crafbits.com . 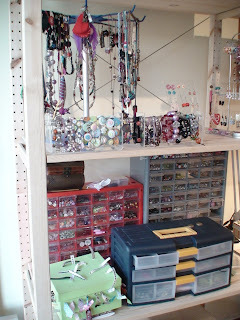 -How it helps you?Storage boxes help me find what I need easily, work faster and having more space. What exactly is doing?All my friends and family help me with their comments on my work.Good or bad critiques are always helpful. There are too many!I enjoy horror films the most. What does a shopaholic do when summer is so close? Even if you do not suffer from a shopping addiction when summer is around the corner you always grab something new, colorful, breezy for the warm weather ahead. 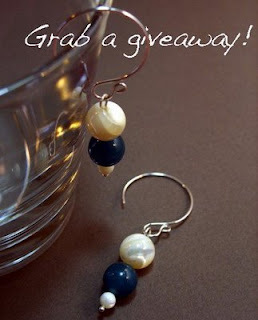 Like these stunning earrings from lacravatteduchien. Heat can be a lot more tolerable with a breezy skirt like this one from karmologyclinic. I can never resist Nafsika's shop and this bracelet is just too good to not mention it when it comes to summer! NickyBee has put together the signature fruit of summer combined with my favorite accessory. A bit of tan would show off these rings by Evrydiki in the most amazing way!